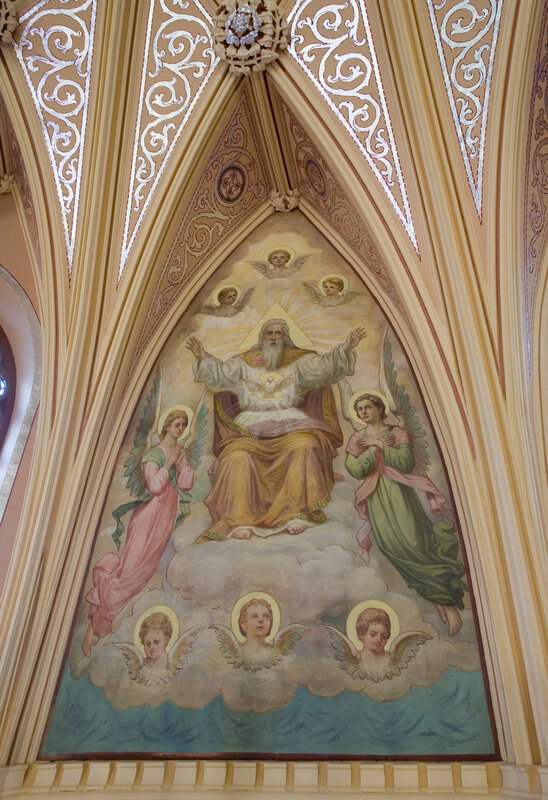 The interior of the Shrine of St. Anne had been completely painted over with solid color – like so many Gothic Revival style churches built in the early 1900s. 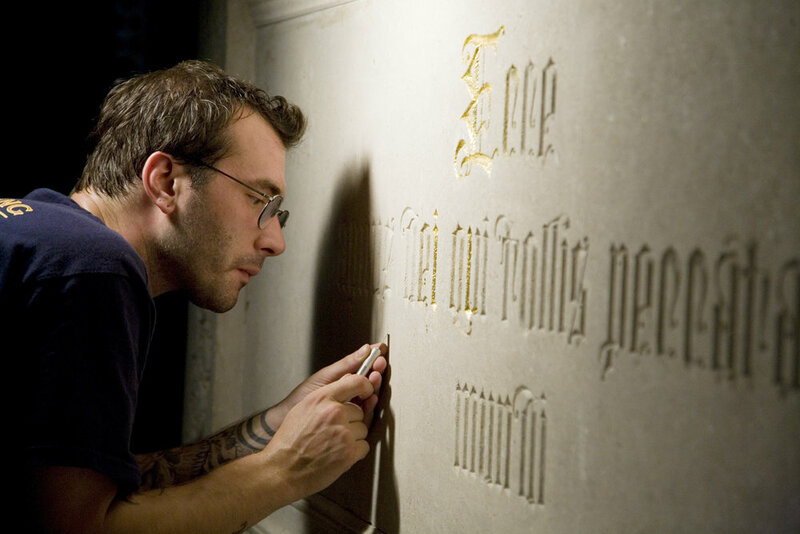 Churches in this style and period are consistent in the areas with decoration and what kind of decoration to expect. 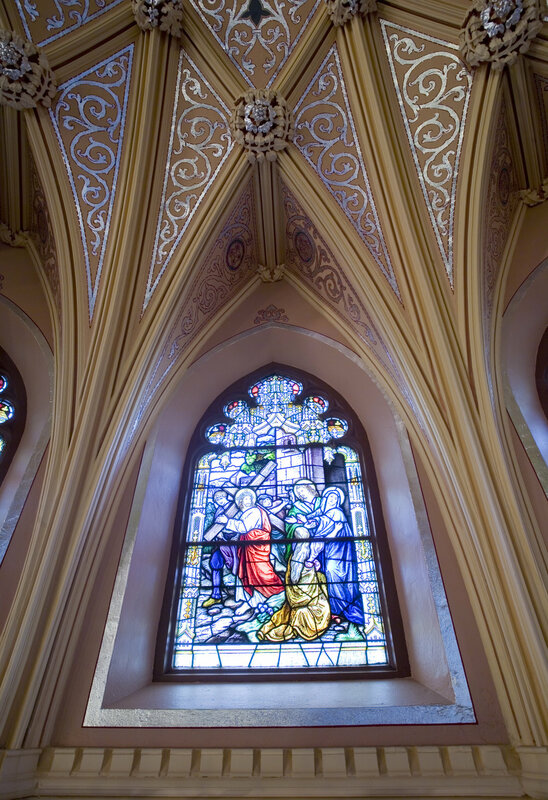 This was true of St. Anne's, too, but our Historic Paint Analysis revealed a far more intricate design scheme using an extensive amount of silver leaf in both flat and dimensional details. We also found stylized fleur d'lis (lily) patterns. 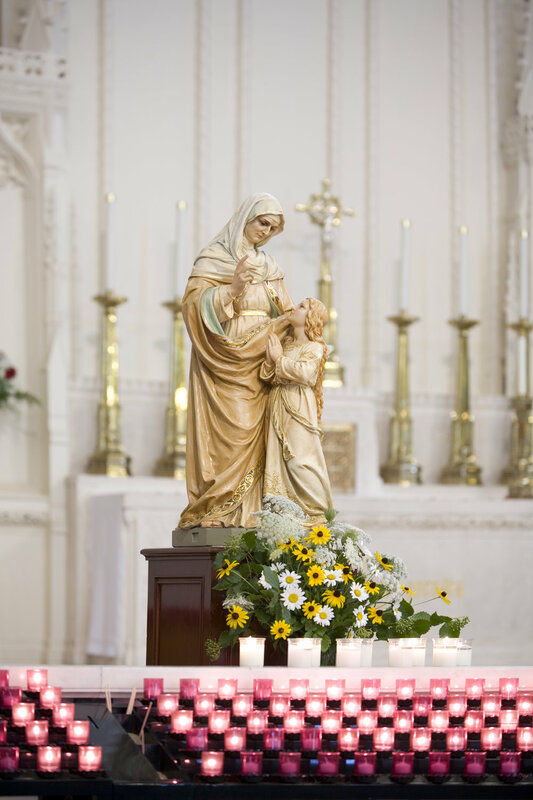 The lily and silver leaf are considered feminine elements and can be found typically in churches of Marian devotion as well as other those devoted to other female saints. 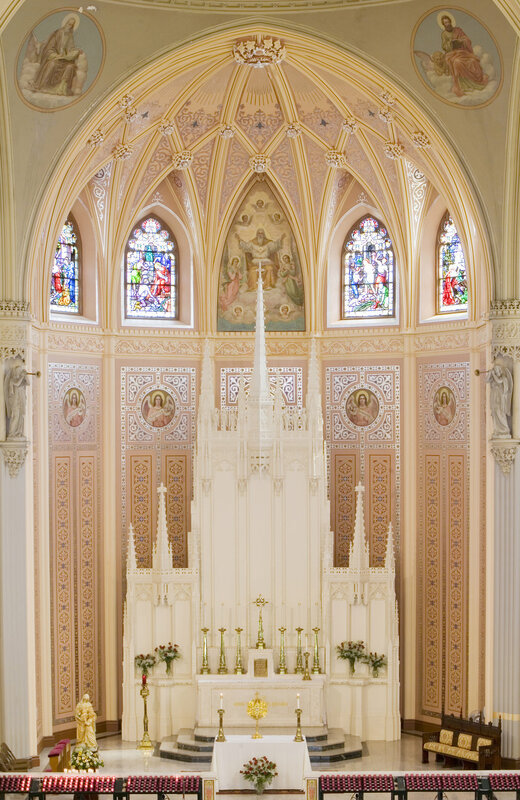 Our exposures revealed complex design behind the altar, between the vault ribs, and framing fine art murals. 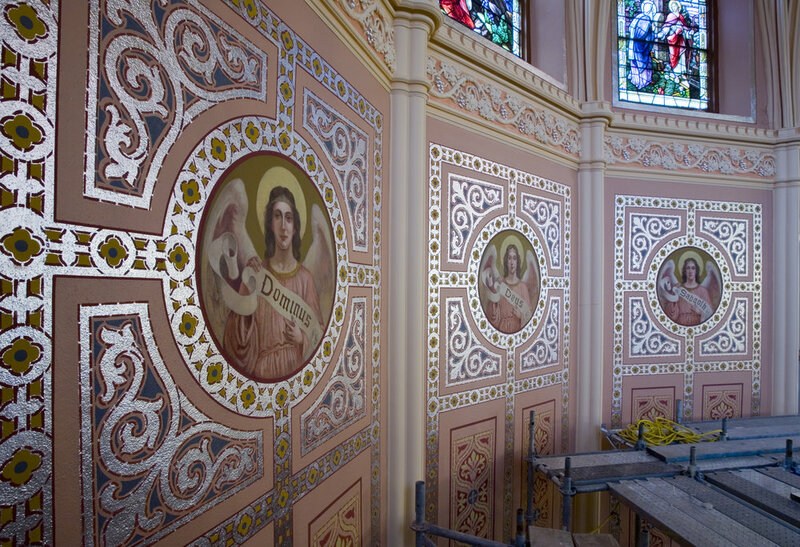 We reinstated the original design scheme, matched the original pastel color palette, and cleaned and conserved the murals throughout the interior.